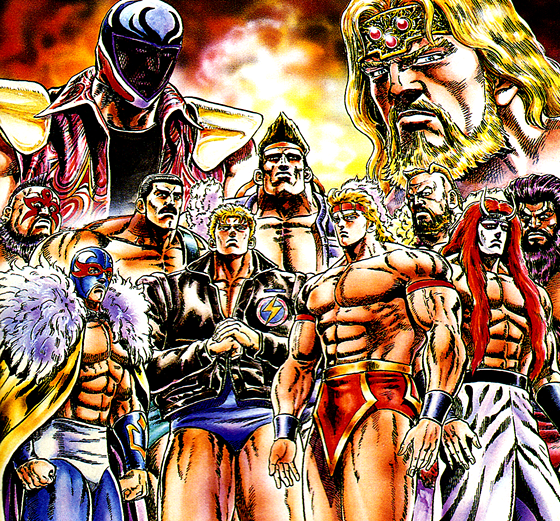 STORY: Professional wrestling experienced a sudden increase in popularity during the early 1980s, where many professional wrestling organizations were started all over the world. 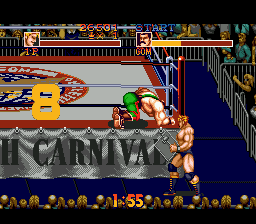 A severe rivalry existed among the organizations. 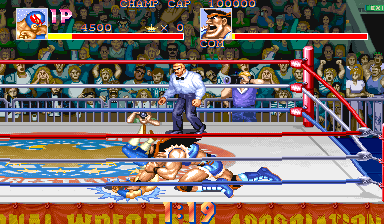 In order to resolve this conflict, 8 organizations combined to form the Capcom Professional Wrestling Association (CPWA), led by Victor Ortega, the CPWA's first champion. 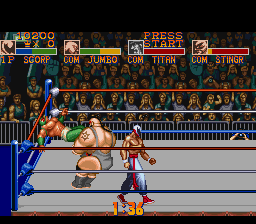 Before El Blaze... Before El Fuerte... 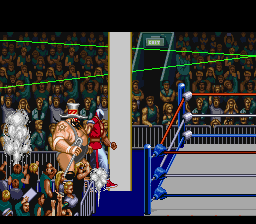 There was, EL STINGRAY! 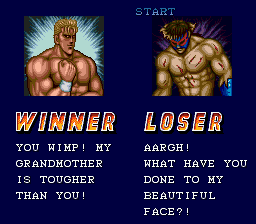 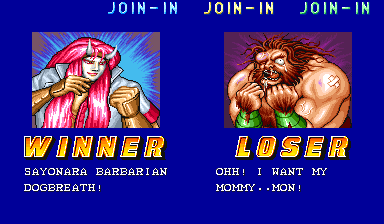 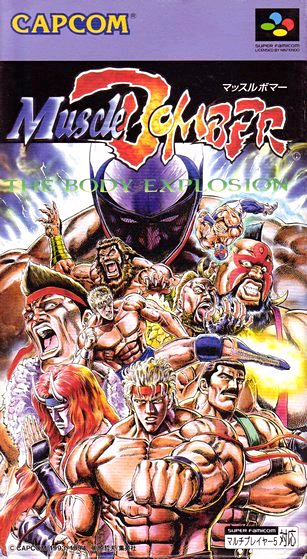 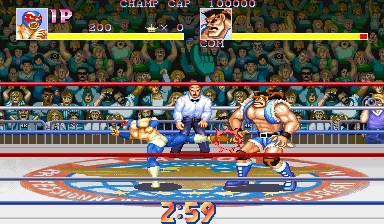 ABOUT: Known in Japan as Muscle Bomber: The Body Explosion, Saturday Night Slam Masters is a 2D pro-wrestling game released for the CP System by Capcom. 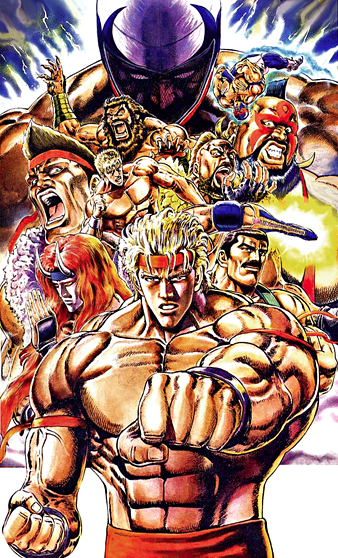 Famed manga artist, Tetsuo Hara (Fist of the North Star) is behind the character designs and artwork for the game. 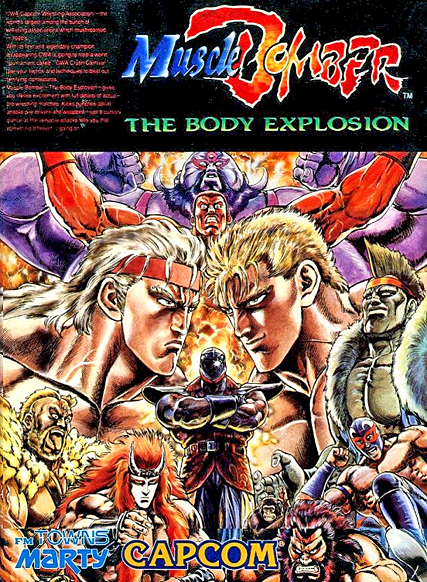 Coming from Capcom, you might expect this series to take some cues from the likes of Street Fighter and other 2D fighting games... and you'd be right. 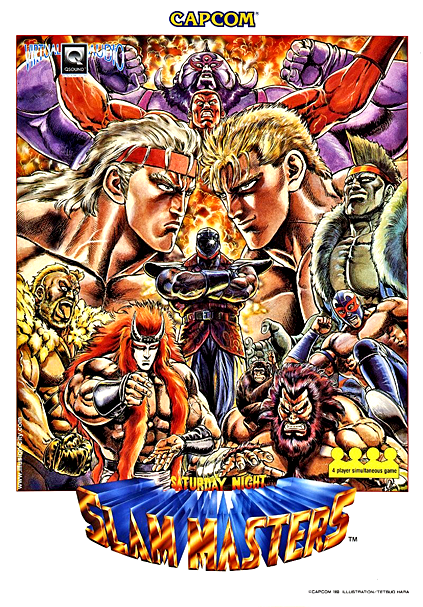 There were 3 separate titles released in the Slam Masters series: Saturday Night Slam Masters, Muscle Bomber Duo: Ultimate Team Battle, and Ring of Destruction: Slam Masters 2. 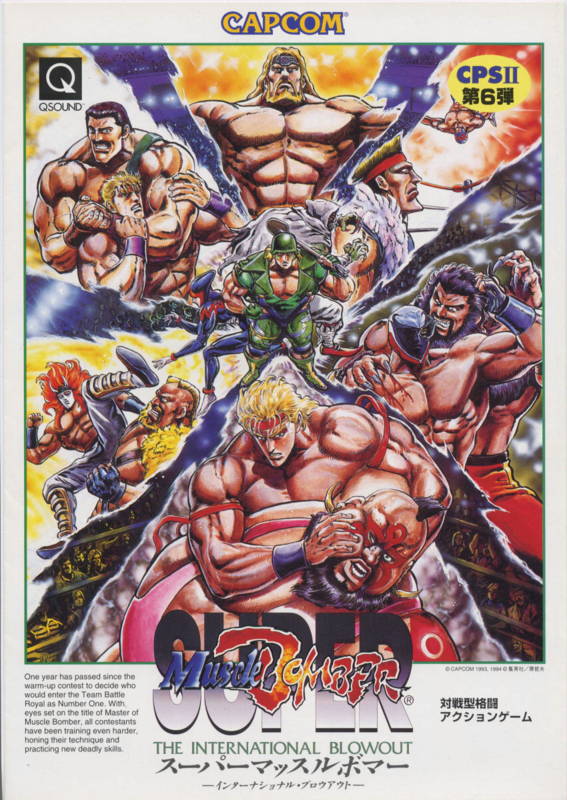 While the first titled played approximately 75% like a wrestling game and 25% a fighting game, the sequels became more and more like a traditional 2D fighter. 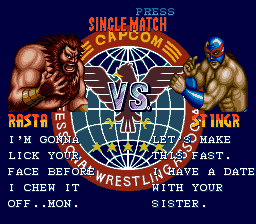 If ya smeeeellll what The Haggar... is... cookin'. 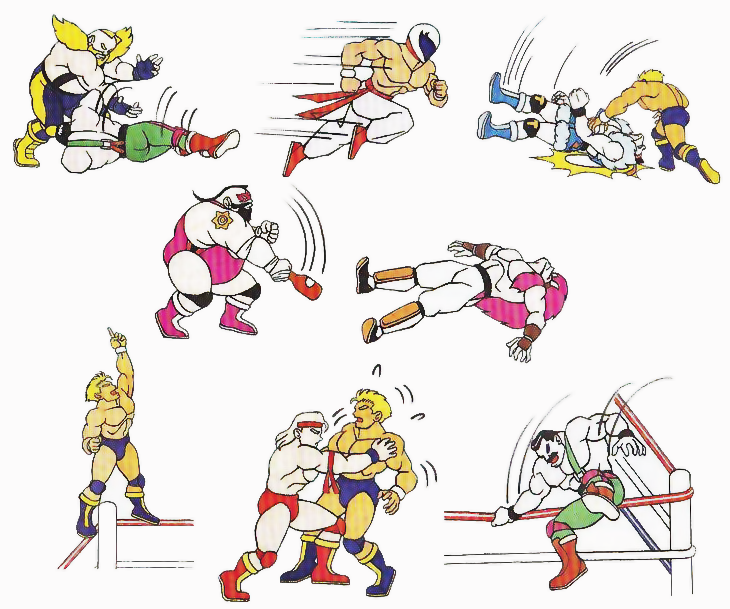 The original Saturday Night Slam Masters uses a very simplified 3-button layout (grab, attack & jump). 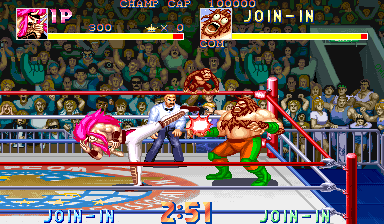 Each character has 2 special attacks, a non-grapple move, and a finisher. 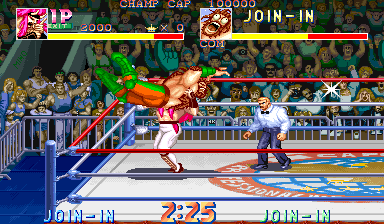 When the opponent's health bar is empty, he must be pinned for a 3-count or submitted. 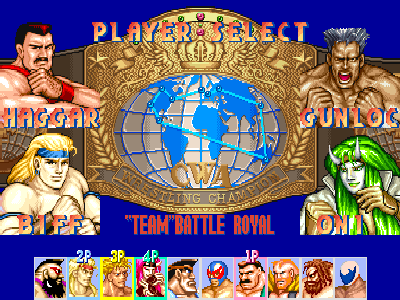 There are 2 modes, of play: Single Match and Team Battle Royale (up to 4-players). 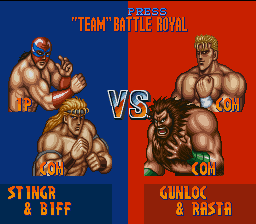 The SNES port retains the 4-player Battle Royale mode (multitap compatible) but the Genesis version does not. 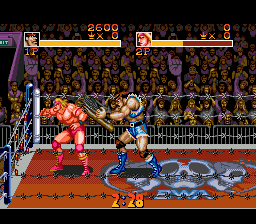 Instead, the Genesis version introduces "Death Match mode," which basically just adds electrified ropes. 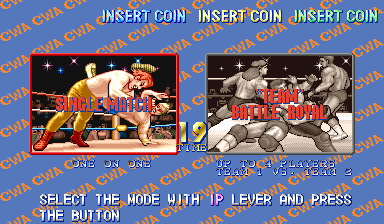 The sequel, Muscle Bomber Duo, is an updated version of the original which removes 1-VS-1 matches, now focused only on 2-VS-2 Team Battle Mode. 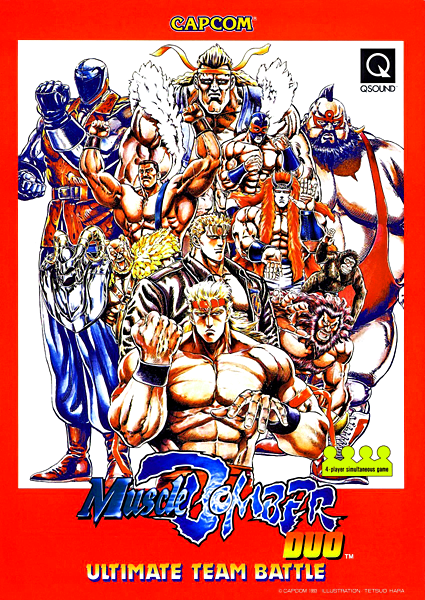 This version allows the same character to be chosen by more than one player for the first time, and gives all returning characters 2 new special attacks. 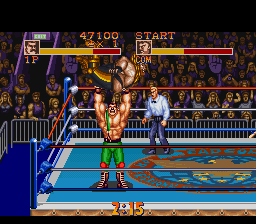 The final version, Ring of Destruction: Slam Masters 2, was released as a CPS2 title and exclusive to arcades. 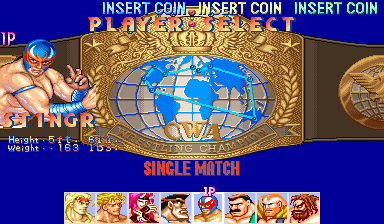 This version plays mostly like a fighting game, now featuring a 5-button layout (2 punches, 2 kicks & grapple). 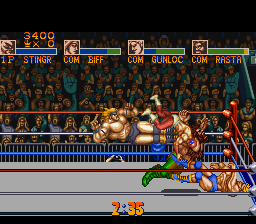 Players can now achieve victory through simply depleting the opponent's life bar, as pins or submissions are no longer required. 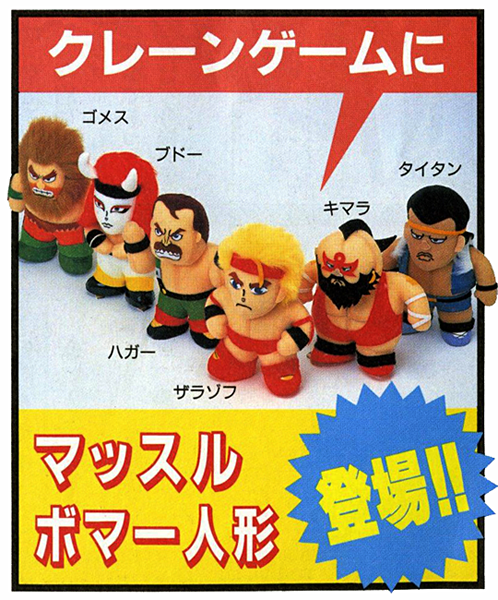 There are also 4 new characters added in this version. 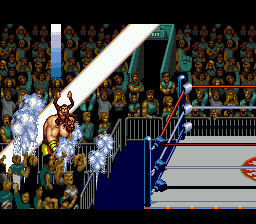 Long ago when I created this website, I decided NOT to feature "pro-wrestling" games on TFG... (even though I've a casual fan of pro-wrestling since I was a little kid in the 80's). 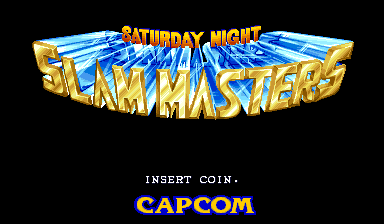 This standard for TFG's Games library remains, however, I've obviously made an exception for Saturday Night Slam Masters. 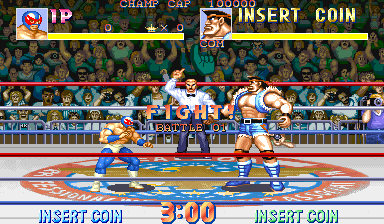 Firstly, because this title is the true "fighting game debut" for Final Fight's Mike Haggar, and secondly, because Capcom made it. 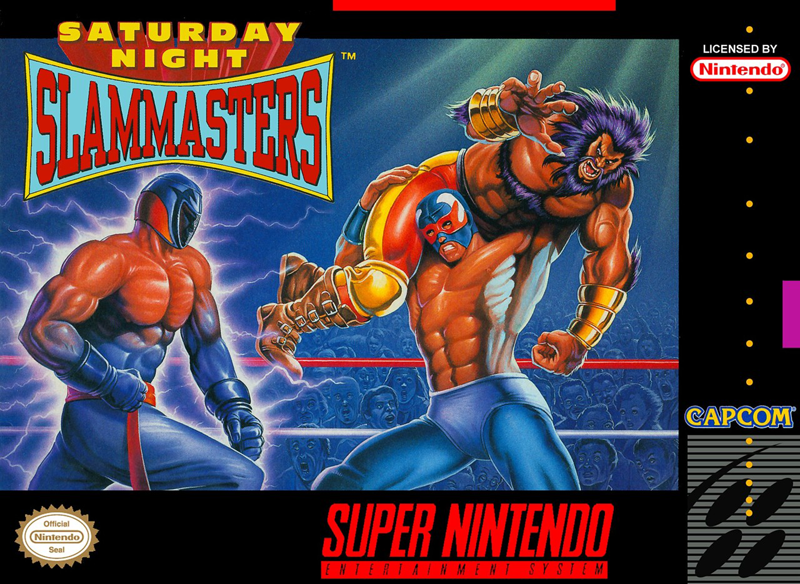 Saturday Night Slam Masters certainly is a unique part of fighting game history and deserves its spot in TFG's fighting games library at the end of the day. 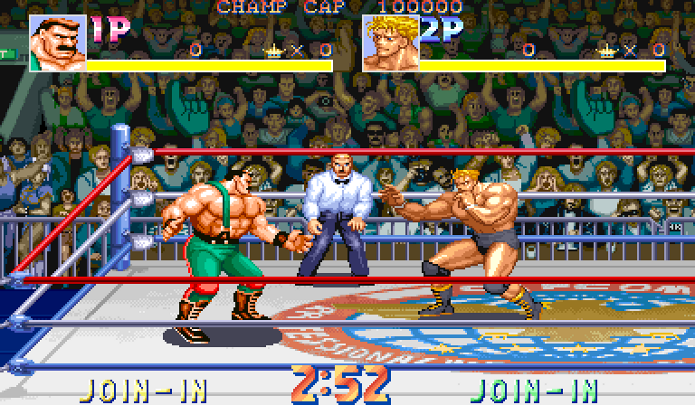 I do remember trying the original SNSM at the arcades way back when, but it wasn't a game I played more than once or twice. 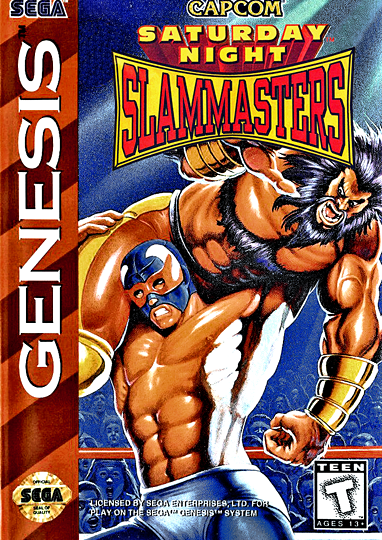 I've never played either of the sequels, but after hearing that ROD: Slam Masters 2 plays mostly like a fighting game, I'm interested to try it out someday. 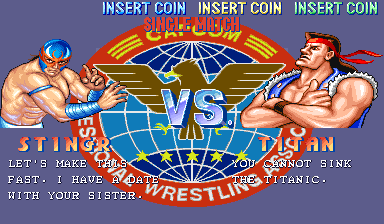 If I ever get around to doing so, I'll consider reviewing it.